Rite Rate is a licensed and insured plumbing, heating, and air conditioning company in Rahway, NJ! We’ve been providing high-quality plumbing and HVAC services for many years. Our technicians are fully trained and equipped to address any problem affecting the HVAC or plumbing system in your home or business. We only work with leading brands and ensure competitive rates that will not break your budget. At Rite Rate, we handle everything from expert installation and replacement to routine maintenance. We also undertake 24-hour emergency repairs using state-of-the-art equipment. Whether you need plumbing, air conditioning, or heating repair in Rahway, NJ, we’ve got your back! Are you searching for an affordable air conditioning company in Rahway, NJ? Rite Rate offers air conditioning installation, replacement, repairs and preventative maintenance services. Our expert contractors can diagnose and install or repair any air conditioner make or model. We’ll be able to service any central air conditioner, packaged air, heat pump, forced air, ductless AC, or air handler. Additionally, our maintenance services improve the air conditioners performance and prolong its life. If your heating system isn’t working, our heating company in Rahway, NJ is here to help. Rite Rate can perform quick, reliable and affordable heating repair services in addition to installations, replacements, and maintenance. Our heating repair contractors handle any heater or hot water emergency to ensure your system is functioning at peak efficiency. We can take care of all makes and models of hot water heaters, furnace, and boilers. From gas and propane to oil and electric systems, we do it all. Don’t hesitate to contact us immediately if your heater is making strange noises, there’s a gas smell or no hot water in your bathroom or kitchen. We’ll get to the bottom of whatever needs to be fixed with the heating system in your home or business. We pride ourselves on our expert plumbers who deliver fast, reliable commercial and residential plumbing services. We handle everything from clogs and leaks to more intensive problems such as drain and sewer cleaning. Our team of professionals is made up of the most qualified and experienced plumbers in the industry. Rite Rate specialists can accurately diagnose and rapidly fix any plumbing problem. 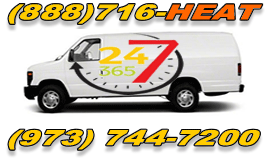 Should you need immediate repairs, we’re available 24-hours a day 365 days a year! We can easily service the following: sinks, faucets, drains, toilets, bathtubs, showers, and sump pumps! There’s no plumbing job too big or too small for Rite Rate.